Watkins Mill's It's Academic team competed in NBC4 studios. The show will air in February. 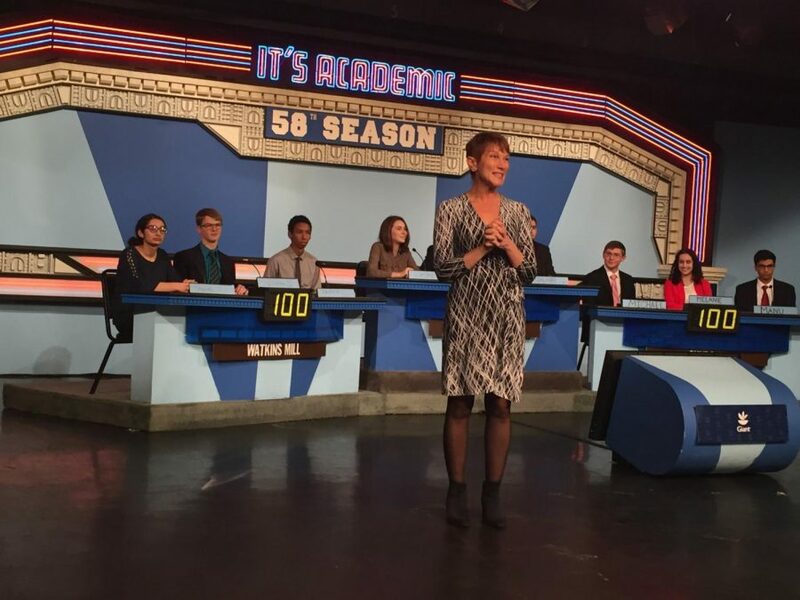 On Saturday, November 10, the Watkins Mill It’s Academic team went to NBC4 studios to compete against Sherwood and Churchill High School in the largest school trivia show in the United States. Senior Shawal Wasim, junior Fahad Habona, junior Alejandra Gullien-Jara, junior Rut Bonilla, and sophomore Griffen MacLaren all attended as part of the team. However, there were only three people on the podium: Wasim, Habona, and MacLaren. They were tested randomly on all academic subjects: history, math, science, literature and cinema. Principal Carol Goddard attended, as well as assistant principals Jennifer Bado-Aleman and Ryan Graves and head of security Lakiesha Lowery. This will be the last year that It’s Academic will take place in NBC4 studios. People are trying to create an initiative to try and save the game and move it to another studio, so that it does not close down after it has been running for 50 years. Key Club members created a hashtag called #SaveIt’sAcademic and posted it on their social media accounts to try and bring awareness to what is going on so that hopefully another studio will pick it up. The competition will air on February 16, 2019 on YouTube.